• 1일 1~3회, 1 소프트젤을 식사와 함께 섭취하세요. • 어린이의 손이 닿지 않는 서늘하고 건조한 곳에 보관하세요. • 임신이나 수유중, 투약중 인 경우 담당의사와 상의 후 섭취하세요. • 모든 제품은 미국 현지에서 직배송됩니다. 항염작용이 뛰어난 성분으로 알려져 있습니다. • Store in a cool, dry place after opening. Please recycle. • Caution: For adults only. May cause minor, transient GI discomfort. • Consult physician if pregnant/nursing, taking medication, or have a medical condition. • As a dietary supplement, take 1 softgel 1 to 3 times daily with food. • MCT oil (medium chain triglycerides), softgel capsule (gelatin, glycerin, water, carob), non-GMO sunflower lecithin and beeswax. • MCT oil from coconut/palm kernel oil. 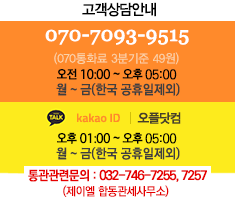 지푸라기 잡는 심정으로 잡은 횡제.